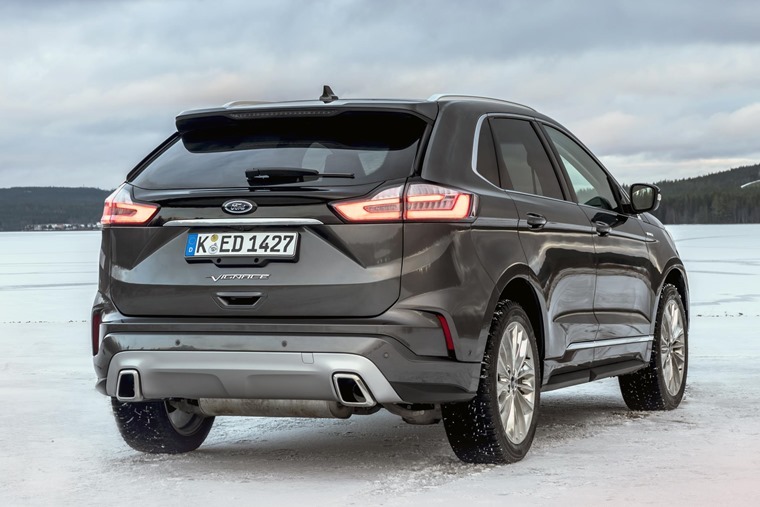 Due to arrive in the UK in January, more details have been released on the new Ford Edge. 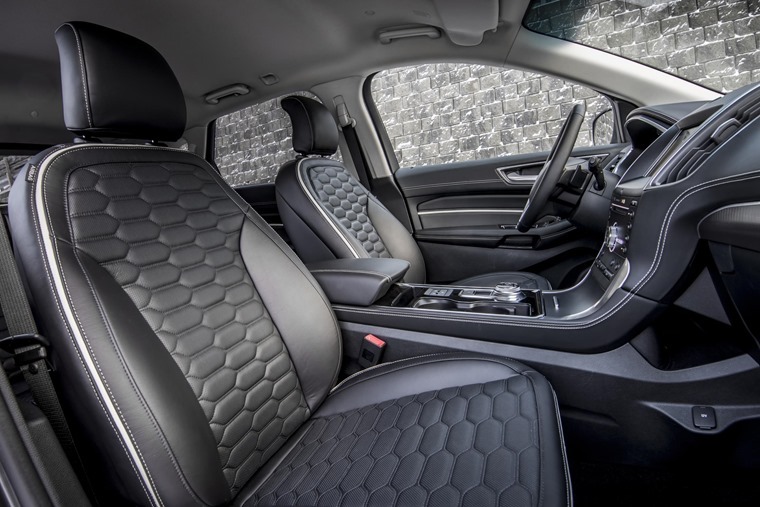 The company’s most technologically advanced SUV ever – featuring everything from Adaptive Cruise Control with Stop & Go and Lane Centring to Evasive Steering Assist and Cross Traffic Alert – it promises to deliver greater comfort and enhanced performance for customers in Europe. 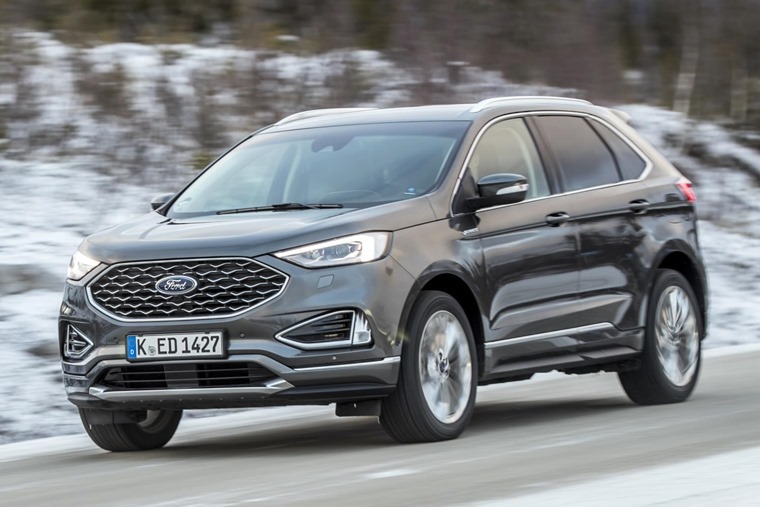 The all-new Edge will be offered in upscale Vignale, stylish Titanium and generously-equipped Trend models, in addition to the sporty ST-Line. Pictured here in Vignale specification, the new Edge makes a statement with enhanced front and rear styling, a wide mesh grille, colour-coded body including deep side skirts, and standard 20in aluminium wheels. Visual updates across the range include a wider grille with a unique finish for each trim level and a freshened fascia that combines to create an athletic, modern appearance. Standard LED headlamps and tail lamps can be complemented with available LED signature daytime running lamps. A redesigned bonnet imparts a wider, more planted stance. 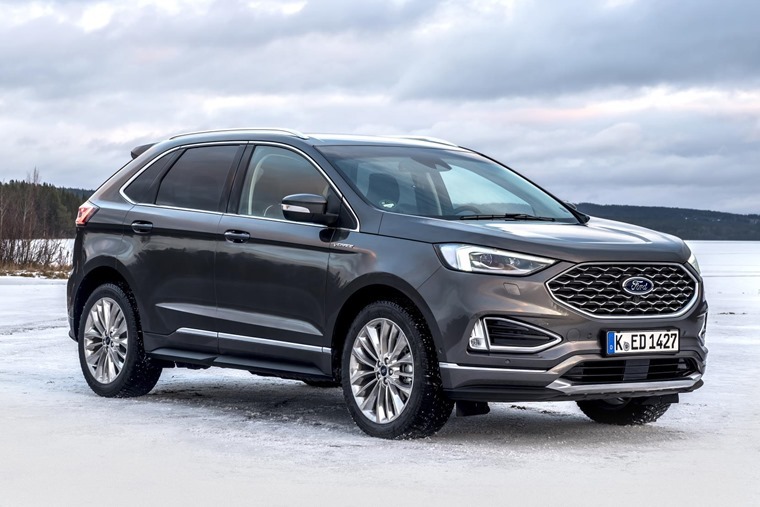 The new Ford Edge offers a comprehensive range of camera- and sensor-based driver assistance technologies designed to make journeys more comfortable and less stressful. This includes the European debuts of Post-Collision Braking, Evasive Steering Assist, and Adaptive Cruise Control with Stop-and-Go and Lane Centring Assist. On the inside, the spacious new Edge interior exudes a premium feel offering a full length panoramic glass roof, heated and cooled front seats, heated rear seats and a heated steering wheel. 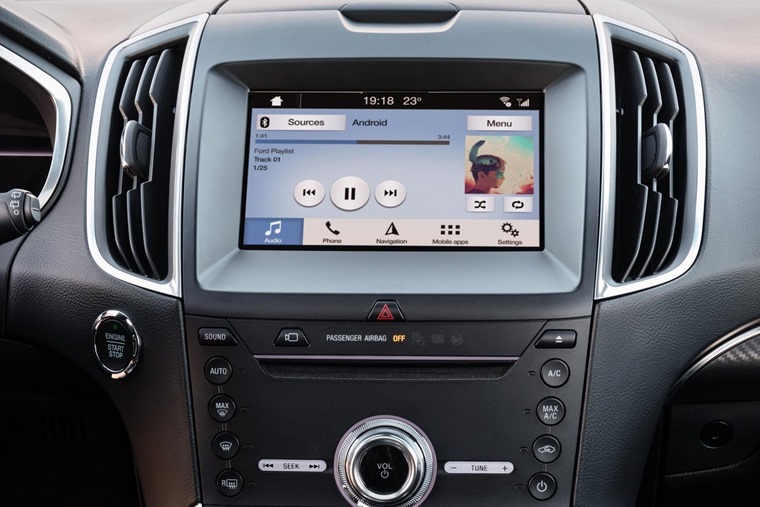 A redesigned centre console features a new rotary gearshift dial for the eight-speed automatic transmission and Ford’s SYNC 3 communications and entertainment system – compatible with Apple CarPlay and Android Auto – enables drivers to control connected smartphones, audio, navigation and climate using voice commands and an 8in colour touchscreen. The new Edge also offers a new fully configurable 3D digital instrument cluster that allows drivers to personalise the layout of the speedometer, rev-counter and vehicle information displays to suit their own preferences. The new Edge debuts an enhanced version of Ford Intelligent All-Wheel Drive. This provides a more secure footing for Edge drivers, especially in slippery conditions, by measuring how well the vehicle’s wheels are gripping the road surface and delivering a seamless transition of torque between all four wheels. A form of artificial intelligence takes readings from dozens of sensors around the car and can determine if AWD is needed in just 10 milliseconds. By shifting to two-wheel drive when additional grip is not needed, the feature helps to save fuel. Ford’s new 2.0-litre EcoBlue bi-turbo diesel engine delivers the power, torque and driving performance of a larger capacity engine, alongside the optimised fuel-efficiency and low CO2 emissions of a smaller engine, and is offered with 150 PS version with front-wheel drive and an eight-speed automatic. A 238 PS engine will also be available which is combined with Ford Intelligent All Wheel Drive, and delivers optimised low-end torque while also providing smooth and linear acceleration performance for a more comfortable driving experience. The eight-speed automatic transmission has been engineered to further optimise fuel-efficiency and deliver responsive performance and smooth, swift gearshifts.